Seriously. Just call him “Captain Shazam.” That would be okay. This was fun while it lasted…Jeff Parker, Paul Pelletier and pals using the “Justice League” concept to pull together whatever characters they felt like for a couple of issues of wild adventure, before moving on to the next grouping of heroes. 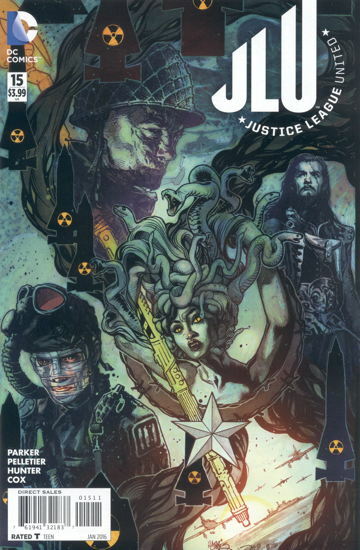 This last storyline, mixing up DC’s WWI and WWII characters with modern superheroes, was a hoot, and totally summed up by a line of dialogue on the two-page spread featuring all the characters charging into action: “This is pretty freaking cool.” Unfortunately the series is a victim of Too Many Justice Leagues, and something had to go. Too bad, this book had really turned around and was beginning to pick up readers again. Speaking of Justice Leagues, the premiere New 52 title is in the midst of its Darkseid storyline, and here are a whole bunch of one-shots featuring our heroes in the midst of having become “New Gods” themselves. Actually more fun than it sounds, and these one-shots are probably better at presenting the changes in these characters than the main JL comic itself. This one in particular, featuring Shazam, is completely bonkers, as Shazam has been cut off from the gods that originally provided his powers and is introduced to the new pantheon of beings supplying his current abilities. 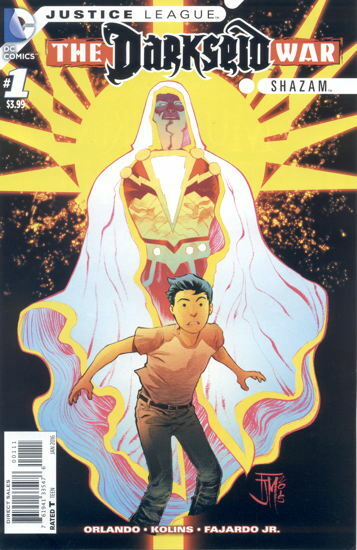 It’s a bunch of craziness, and while the abrasive personality of this New 52 version of Billy Batson certainly grates, the story just powers along from god to god, each of whom are just kind of jerky to Billy, and it’s pretty amazing. Also, I still hate that he’s called “Shazam” now…I understand why, but I don’t have to like it. Yeah, I know who wrote it. It was still…not too bad. 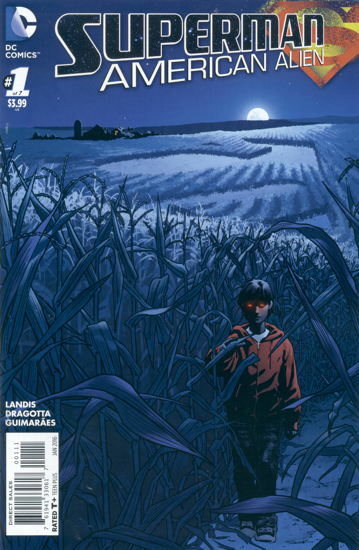 The story of young Clark Kent adjusting to his powers is a good idea, though the true horror of a super-powered child has been explored in alarming fashion already. If you liked that bit in Man of Steel with Clark’s burgeoning powers overwhelming him at school, here comes seven issues of it. The frequent “anime faces” take some getting used to, and some of the plot contrivances are a tad eye-rolling (Clark’s flight in front of witnesses explained away as a “gas pocket” exploding), but overall it’s a pleasant enough read. I do like the introduction of the concept that some other citizens of Smallville just by necessity know about Clark’s abilities, and hopefully we’ll see how that plays out over future issues. 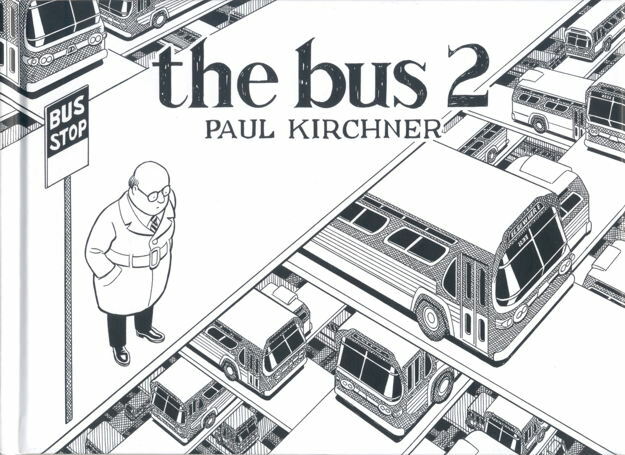 I meant to say something about the first volume of The Bus from some time back, reprinting that most enigmatic and surreal of strips about an older gentleman, a bus, and the occasional confluence of the two, that I primarily remember from old Heavy Metal mags. Well, here’s volume two, with new strips about those very same things, still done with the most exacting linework, and the most bizarre circumstances therein. I haven’t done more than flip through it yet, but it looks like The Bus hasn’t lost any bit of what made it so special since it originally ceased running in the ’80s. This cover is perfection. I would read the comic this cover is presenting, but of course it’s just a variant. Too bad. I’ve been saying since the name change was first announced that they should go all the way back to Captain Thunder. I felt the same way about one of the Green Lanter-related covers. That…that JLU cover is divine. The Bus! Suddenly I am 40 years younger, if only for a moment. 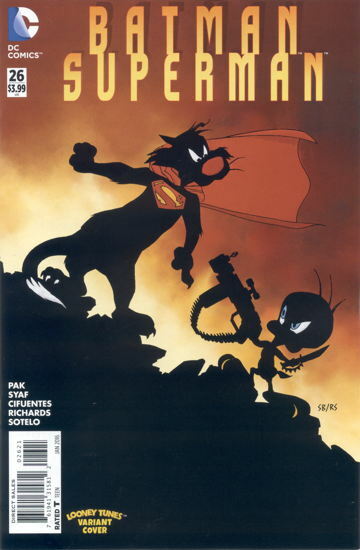 It was Marvin the Martian on the cover! Now, if only that was also the story, I’d have bought the comic!